When Wee Gallery founders, Surya and Dave Pinto, had their first child, Siddu, they were fascinated to learn that newborns can only see 12-15 inches from their own faces, and that they’re most drawn to black and white images. With this in mind, Dave and Surya launched Wee Gallery, a range of simply but beautifully illustrated books, blankets, art prints and the like, designed to stimulate babies’ creative minds and begin a lifelong journey of art appreciation from day one. 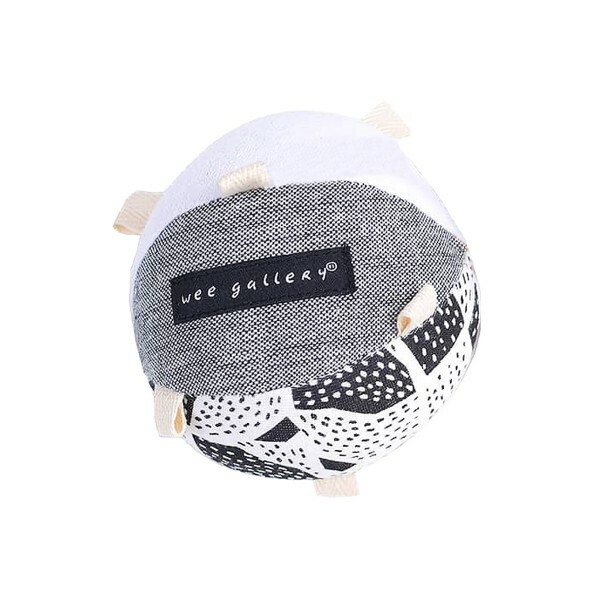 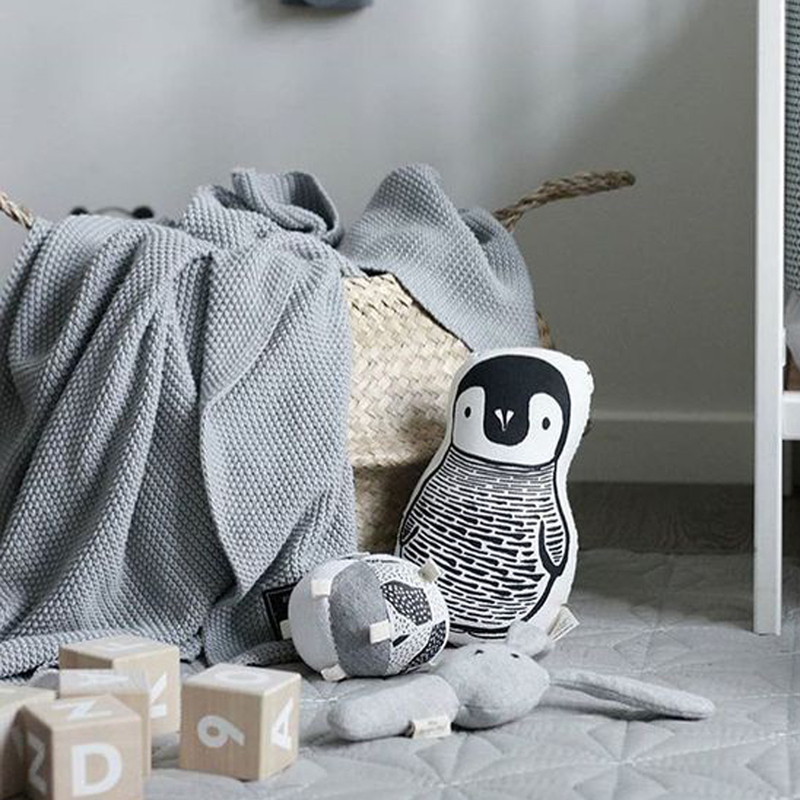 Designed to delight your baby’s developing senses, Wee Gallery’s Organic Taggy Ball features their signature high-contrast, hand painted graphics to grab baby’s attention visually, while its textures and rattle provide tactile and auditory stimulation.